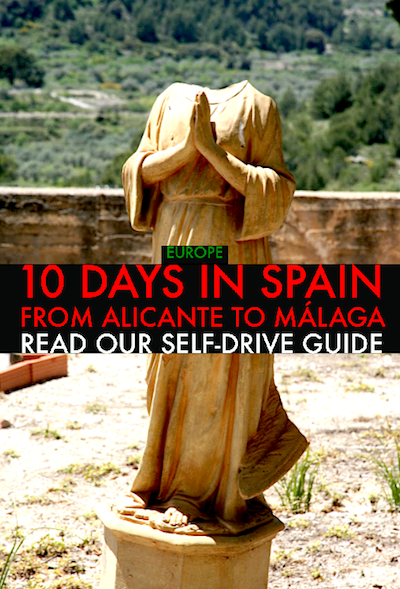 Check out our travel guide to Southern Spain — 8 pages with directions, photos & maps! SOUTHERN SPAIN TRAVEL GUIDE. One of Europe’s best preserved and different travel destinations, southern Spain has something to offer for everyone. Great beaches, desolated mountain villages, big city-life, great restaurants and scenic views. Visit Europe’s largest palm plantage in Elche, check out the movie sets where Clint Eastwood made For A Few Dollars More, drive on daring, narrow roads on the side of steep mountainsides. Download our new PDF travel guide for free — 8 pages with tips, maps, photos and a itinerary that will take you from Alicante to Málaga in ten days! → Download our guide for southern Spain here!